In 2015, Zavora Marine Lab combined its efforts with the iSeahorse Program to monitor and protect the seahorses of Barra Lagoon. Barra Lagoon is an Estuary located 100km from Zavora, in Inhambane. The seagrass bank is a habitat for a great abundance of seahorses. However, there is no current information on the status of the seahorse population in the area. Our aim is to assess the population status of the seahorses in the region, as well as trends and threats. 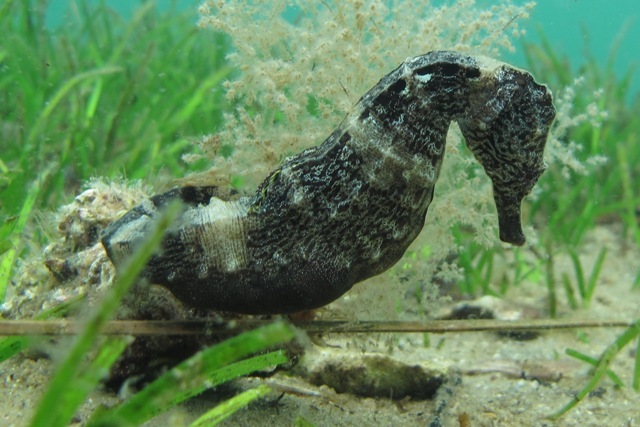 Trend data helps to identify seahorse populations that are in need of further research and conservation management, and allows policy-makers and managers to set priorities based on scientific information rather than anecdotal observations. By sharing results, as well as collaborating with and supporting local groups, we can all work to improve the fate of seahorses while engaging more people in ocean conservation. All participants will take formal training that can be used in Mozambique or any other place around the world and receive a participation certificate from iSeahorse.